Available as a curved set or a straight set. The curved set is shown. The Colonnade Set includes 4 pieces. The curved colonnade bases and tops are a quarter of an 8 foot circle. 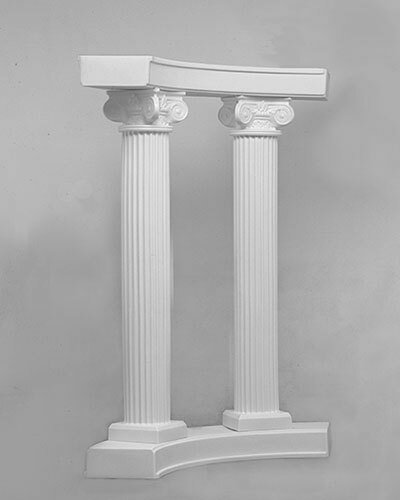 The straight colonnade bases and tops are 48 inches wide. The two columns measure 72 inches high. The tops are 11 1/2' square. Contact us for shipping options on this item.